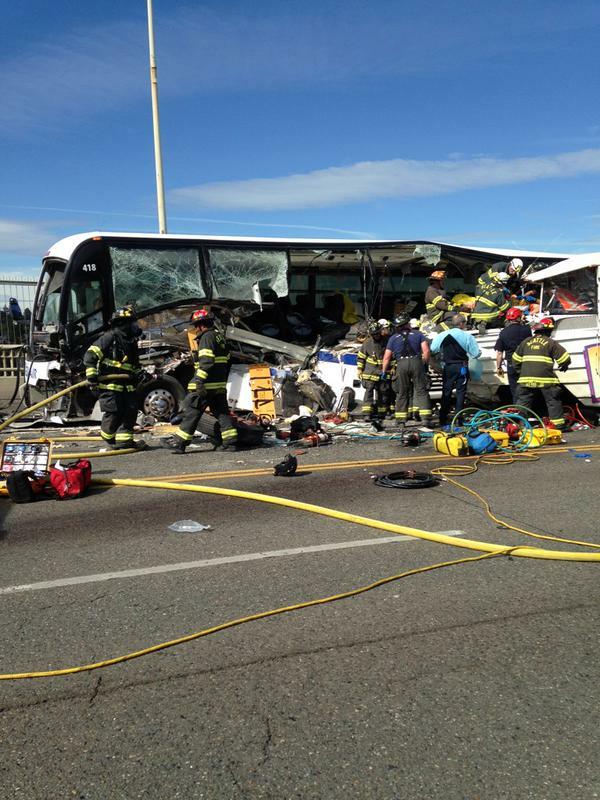 News outlets are reporting that at least four people were killed and several more suffered critical injuries in a crash involving a charter bus and Ride The Ducks touring vehicle on Thursday morning in Seattle. Since the details of the fatal accident – including any potential causes and other contributing factors – have not yet been determined, it’s far too soon to tell how the collision occurred or who may be held responsible for the catastrophic damage that resulted. However, it has become apparent that this is not the first time that a Ride The Ducks vehicle has been involved in a devastating collision. Back in July 2010, two Hungarian students were killed in a collision while they were riding on the Ride The Ducks vehicle in the Philadelphia, Pennsylvania area. According to news reports, the amphibious vehicle was floating on the Delaware River when it was struck by a tugboat pulling a barge. The families of the deceased victims filed a wrongful death lawsuit against the company responsible for operating the tugboat, as well as the Ride The Ducks company responsible for operating the tour vehicle that was transporting the victims. In that case, the lawsuit went to trial before the two sides eventually decided it was best to avoid the costly trial and negotiate a settlement. They ultimately agreed on a $17 million settlement for the victims of the collision. $15 million of that amount was split between the families of the deceased, while the remaining $2 million was divided up among other injured passengers from the incident. The driver of the tugboat which struck the Ride The Ducks vehicle pleaded guilty to criminal charges, including one count of misconduct of a ship operator causing death, as a result of the collision. He was sentenced to one year in federal prison for his role in the fatal collision. He admitted to using his cell phone and laptop in the moments leading up to the crash. It will be very important for the loved ones of victims involved in today’s collision to protect their legal rights and ensure that they are not taken advantage of by insurance companies and their legal teams. The medical bills and other damages resulting from this accident are likely to be significant for most of those involved, and the battle to be made whole will likely not be an easy one. Hiring an attorney immediately after an accident, especially one that involves a large corporation, can significantly improve the victims’ chances of successfully recovering the damages they are entitled to under the law. An experienced and qualified wrongful death attorney can preserve evidence and hire experts to prove the victims’ claims and ensure that they are able to achieve justice for their losses. The attorneys at Davis Law Group have a great deal of experience representing auto accident victims and their loved ones after serious injury and fatal accidents, particularly with large commercial vehicles. We recently resolved a wrongful death claim for the surviving family members of a married couple who was killed after their vehicle was struck by a commercial bus on a Washington state highway in 2013. The family hired Davis Law Group shortly after the fatal crash occurred, which helped protect their legal rights and preserved the accuracy of key evidence and statements from eyewitnesses. Our attorneys were able to recover a $3 million settlement for the family members of the victims in this devastating crash.